For a lot of us, the 70’s mean peace, love, and freedom. But to old moto-heads the 70’s meant great tracks, wide open deserts to race on, and rules were few. 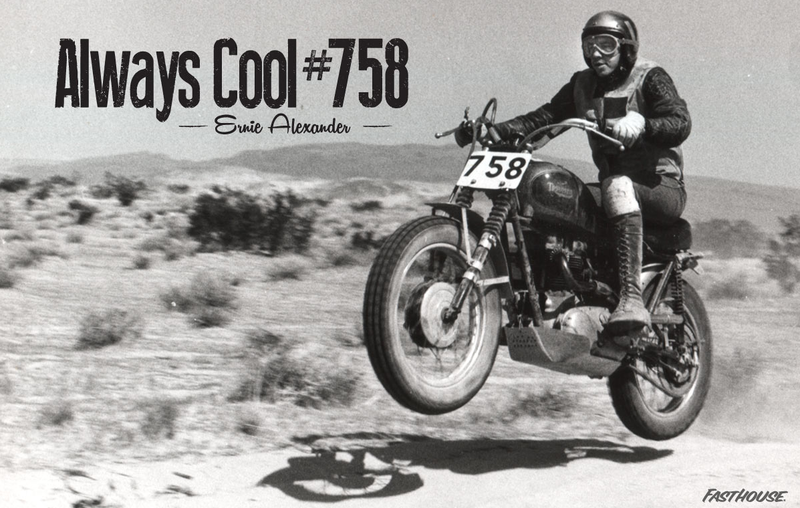 Ernie was a desert racer and a sometime Grand Prix racer. He helped organize and put on one of the coolest races ever, the Westlake Grand Prix, a stop on the Inter/AM circuit. He was a member of the Viewfinders MC. He got the bug for putting on events. He and his buddy, George Conrad, started an association called ACE, Alexander Conrad Enterprises. ACE helped build and put on the very first motorcycle races at the world famous Indian Dunes Moto Park. You can say the rest is history.